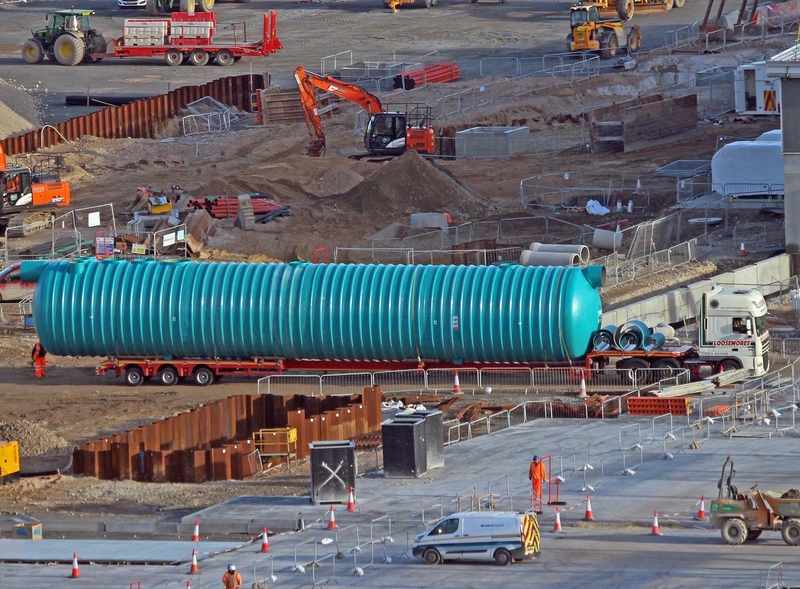 SPEL Stormceptor Class 1 bypass separators are being supplied for the DWDR Port of Dover Project. This SPEL Stormceptor Model P800 (NS 800) measures 25m long x 4 m dia. It caters for 28,000m2 catchment area and captures and retains hydrocarbons and silt.